Lee and Greg joined Daniel Rapson and his team from Persimmon Homes for the Persimmon Charity Golf day on Friday 19th September. 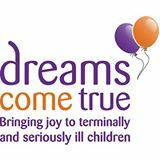 The golf day was held at Benton Hall Golf and Country Club in support of two chosen charities Dreams Come True and Essex Air Ambulance. 18 holes Stapleford golf with the first Tee at 11am. The golf was followed by a three course dinner and charity raffle. A total of £4,500 was raised for the chosen charities.